One word to this chocolate cake, DIVINE. 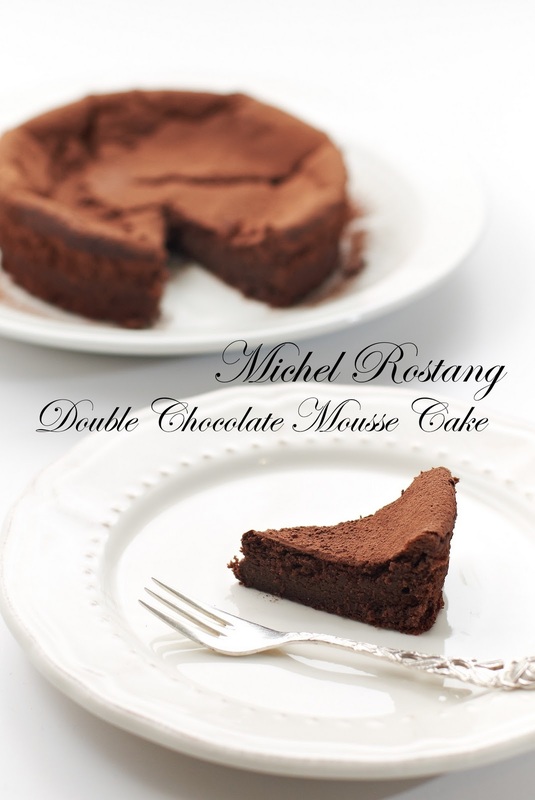 Fall in love instantly with this moist & melt-in-the-mouth chocolate mousse cake. I added a little variations to the recipe. I really like the subtle note of Grand Marnier matching with bittersweet chocolate & I used muscovado sugar to increase the richness & moisture. I baked a small 6" cake instead of 8", only because I didn't have a 8" pan in hands. I think it's the right size, a small slice with a cup of tea makes my day happy & satisfied after the photo shoot. Preheat the oven to 200C, line a parchment paper at the base & grease the side of a 6" springform pan. Dissolve 30 g of sugar in hot brewed espresso or coffee. 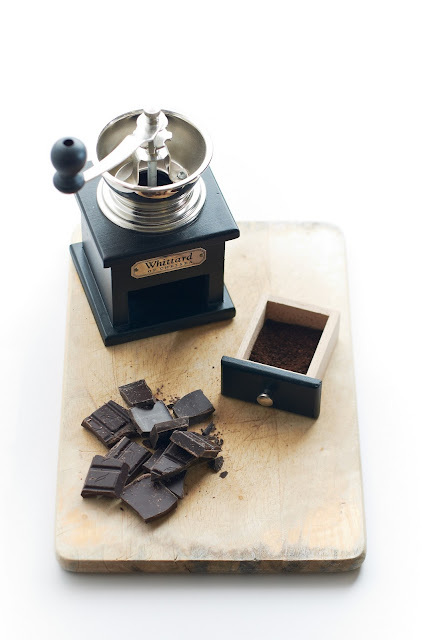 In a small saucepan, melt the chocolate over simmering water, stir in the espresso or coffee. Remove from heating, stir in butter until smooth. Stir in egg yolks, one at a time, until smooth. Add in Grand Marnier, stir until smooth. In a large bowl, whisk egg whites with the remaining sugar to soft peaks. Fold the 1/3 of egg whites into the chocolate batter until smooth. Fold in the remainder of the egg whites. Pour in 1/3 of the batter into the prepared pan, cover & refrigerate the remaining batter. Bake in the oven for 10-12 min, remove from heating & cool to room temperature, cool further in a refrigerator (at least 1 h). Pour the remaining batter on top of the cake, return to the oven & bake at 200C for 25 min or until a skewer inserted come out almost dry. Leave to cool & refrigerate for at least 4 h or overnight before serving. Run a blunt knife around the edges & carefully remove the cake from the pan. Dust with cocoa powder & serve. Note: If you're using 8" cake pan, just double the recipe. What a delicious-looking cake… and that photo is beautiful! I can almost smell it from here. Delicious! 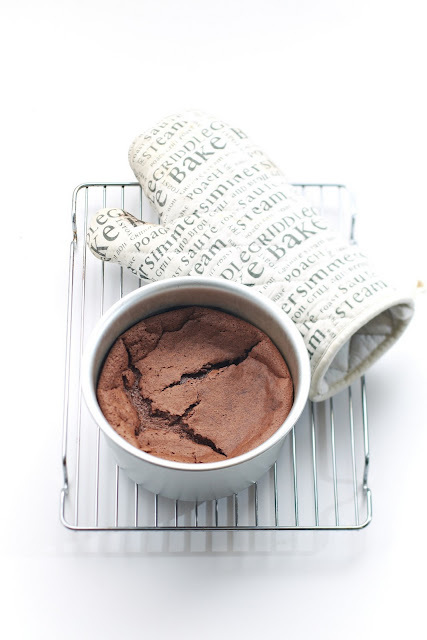 I'm always on the lookout for a good choc cake recipe so this is right up my alley! And I like your fave photo of the day too, love how nicely backlit the props are!